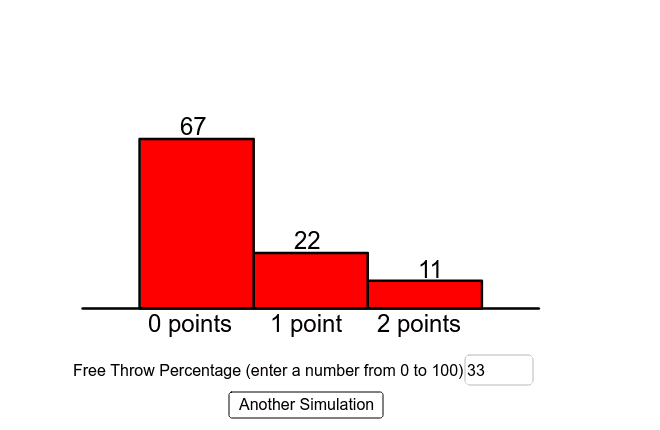 This simulation is designed to accompany AQR Investigation 13.2: Shooting Free Throws (Theoretically). Enter the percentage of free throws made. The histogram displays the results of 100 simulated one-and-one free throw attempts. How does the simulation compare to the theoretical probabilities?